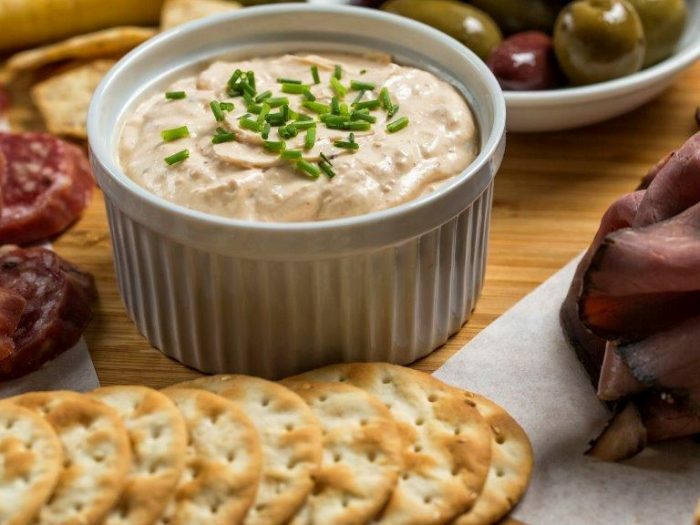 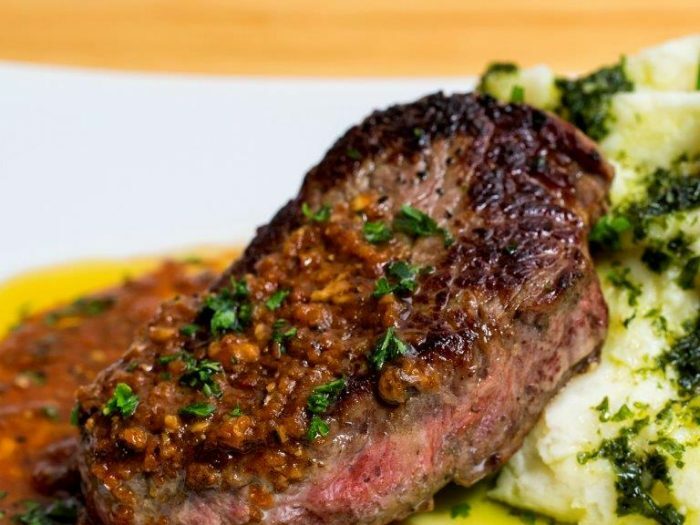 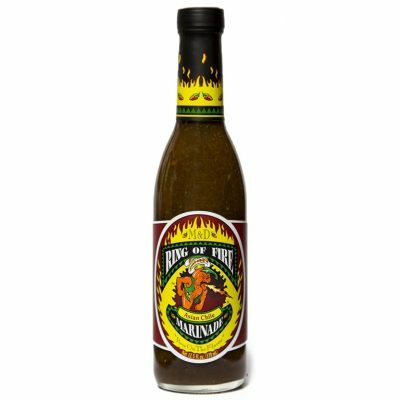 The smoky chipotle (mesquite smoked jalapeno) and roasted garlic are the backdrop for this very distinctive sauce. 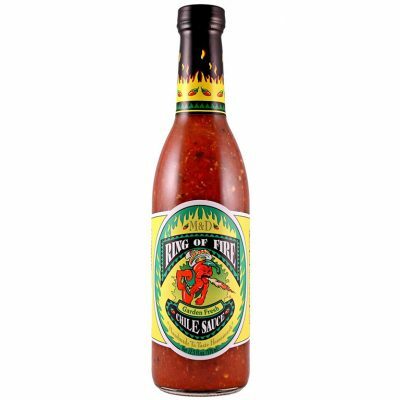 Based with fresh tomatoes, onions, habanero chiles and roasted serrano peppers, it’s then loaded with 2 1/2 times the roasted garlic of the “Original” Ring of Fire ®. 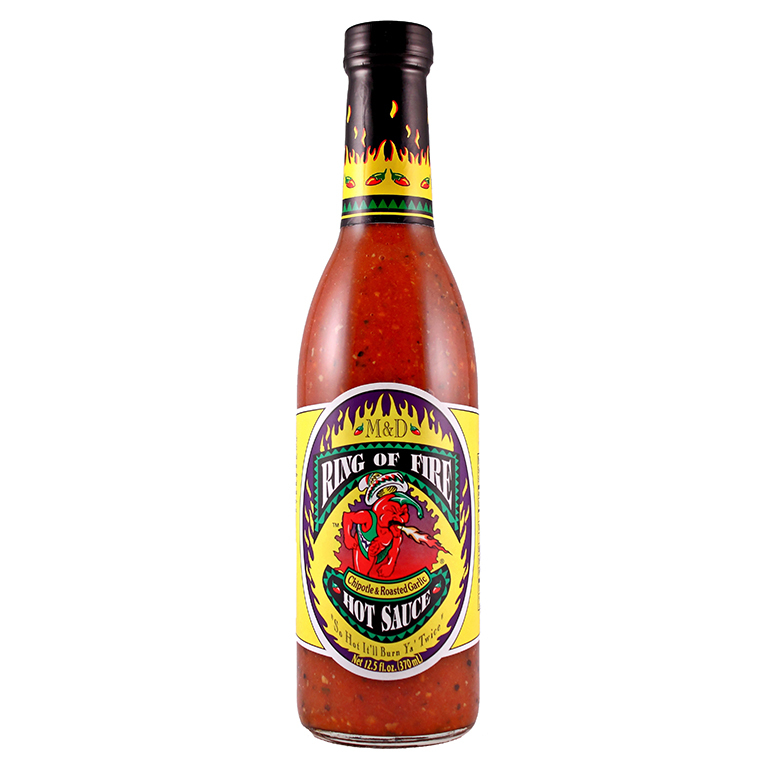 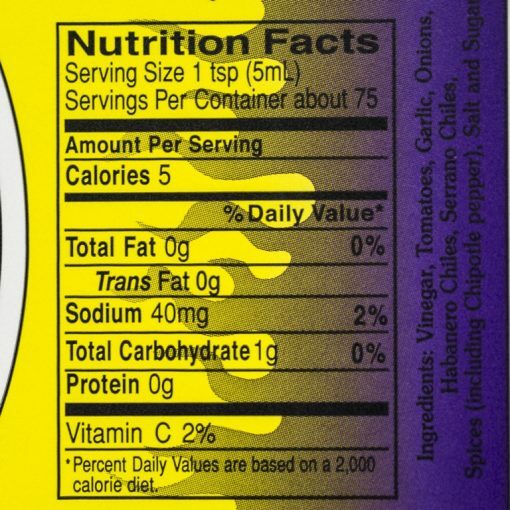 This sauce is definitely one for the true garlic lover. This sauce is excellent to use in Marinades, Stews, Pizza and all types of Barbecued Meats. 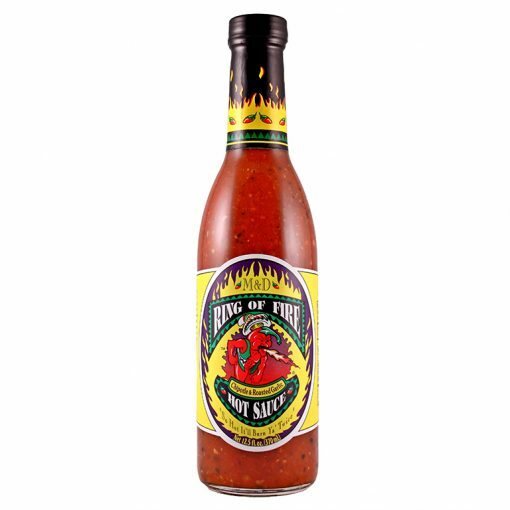 Ingredients: Vinegar, Tomatoes, Garlic, Onions, Habanero Chiles, Serrano Peppers, Spices (including Chipotle Pepper), Sugar and Salt.